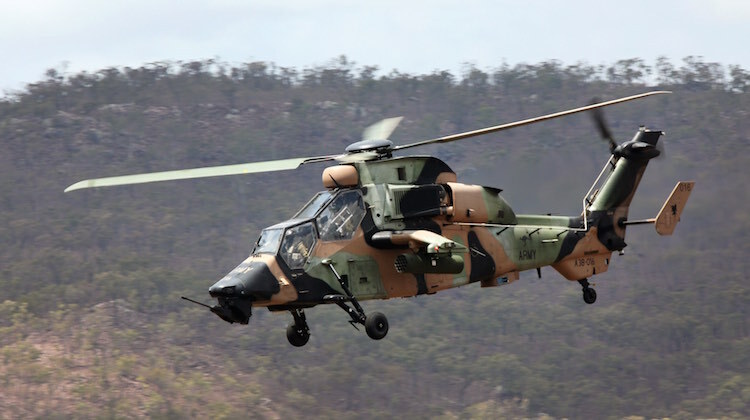 The Australian Army’s 22 Airbus Helicopters Tiger Armed Reconnaissance Helicopters (ARHs) achieved final operating capability (FOC) on April 18, more than 11 years after the type first entered service. “Tiger is ready to go as a full operational capability with a full regiment of two squadrons,” confirmed Commander 16 Aviation Brigade, Brigadier Michael Prictor. Tiger’s FOC was declared with some minor caveats. “There are some classified things that are not quite ready yet, but they will be by the end of the year,” said BRIG Prictor. “FOC is not just about the aircraft; it is the whole system, which includes the entire regiment being certified. All of the build-up pieces, all of the milestones, were completed by August 2015, and it was mainly technical issues to make sure the sustainment was in place and serviceability rates were up to speed. The first two Tigers, A38-001 and -002, were delivered to Army during a ceremony at the Army Aviation Training Centre, Oakey on December 15 2004, while the final Tiger, A38-022, was delivered in late 2011. BRIG Prictor said Tiger is the most complex piece of equipment Army has ever introduced: “It wasn’t mature when we bought it and it has been a challenge getting it there. In late February, the federal government’s Defence White Paper and its accompanying Integrated Investment Program outlined plans for the Tiger’s earlier than expected retirement. In the meantime “it will be an operational aircraft for at least the next 10 years until any replacement and we will continue to make it the best possible weapon system we can” Airbus Group Australia Pacific managing director Tony Fraser said in welcoming the FOC attainment. “It has been a while coming but we are indebted to Army and the Defence project teams, and are equally committed to making sure the crews, Defence and government have the confidence to deploy ARH Tiger should they need to do so,” he continued. Fraser is himself a former Commander 16 Aviation Brigade, and later was Head Helicopter Systems Division within the then Defence Materiel Organisation where he oversaw the Tiger’s introduction into service. 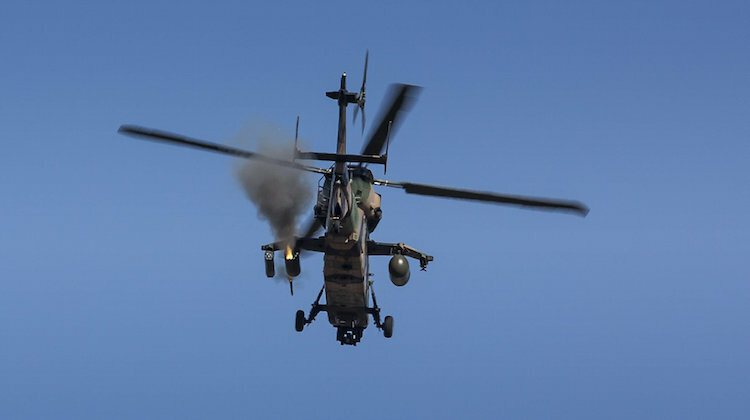 He acknowledged that the Tiger has suffered delays but said Airbus Helicopters “will stay focused on making sure Tiger ARH is ready to go to war”. Further capability expansion for the Tiger will get under way in June, when it will conduct flightdeck handling trials on the LHD amphibious assault ship HMAS Adelaide while alongside in Brisbane. LHD first-of-class flight trials will then be conducted in early 2017. “There is a lot of work to be done to get Tiger onto the LHDs,” said BRIG Prictor. “It is a much more complex feat because we have to make sure we safely handle its Hellfire missiles, 70mm rockets and gun rounds while on board; something that you wouldn’t normally have to worry about with our other helicopter types on the LHDs.